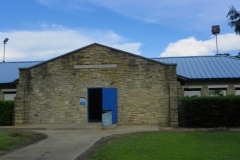 Key hole shaped, the Jeff Lee Park swimming pool measures 175 feet long and 60 feet wide and is constructed of poured concrete. Around it is a concrete apron, and between it and the bath house are two small wading pools. Forty-two feet from the west end of the pool is situated the bath house. 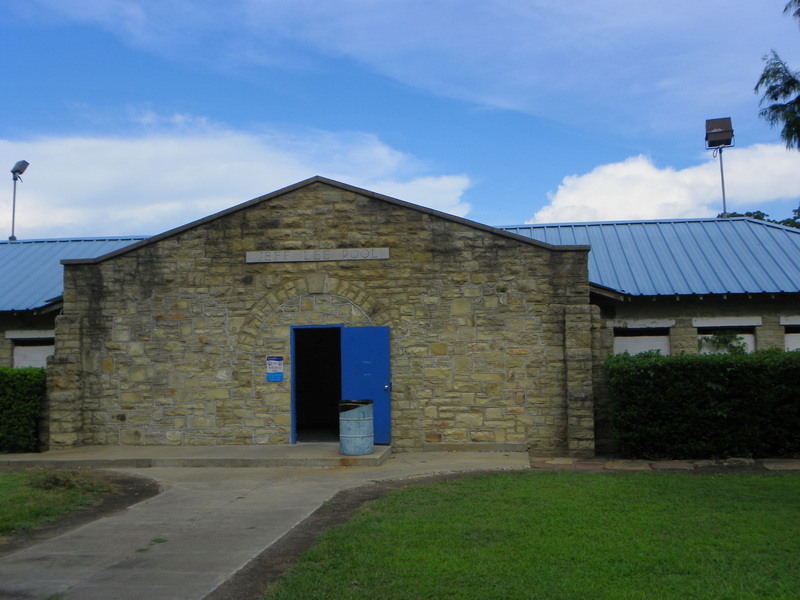 Single story and rectangular (22′ x 80′), the bath house is constructed of rusticated and coursed native sandstone. 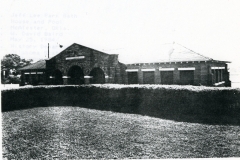 Now covered with composition shingles, the roof is hipped, although an intersecting gable with a parapet extends over the entryway recessed behind three arches. Elevated one-half windows with pre-formed concrete sills and lintels are enclosed with wood inserts. The latter alteration does not impeach the integrity of the bath house. 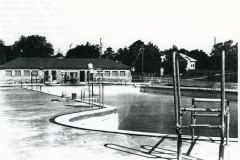 Jeff Lee Park Bath House and Pool are significant because they reflect the wide variety of construction projects, in this instance outdoor recreational facilities, which the WPA undertook to sponsor. 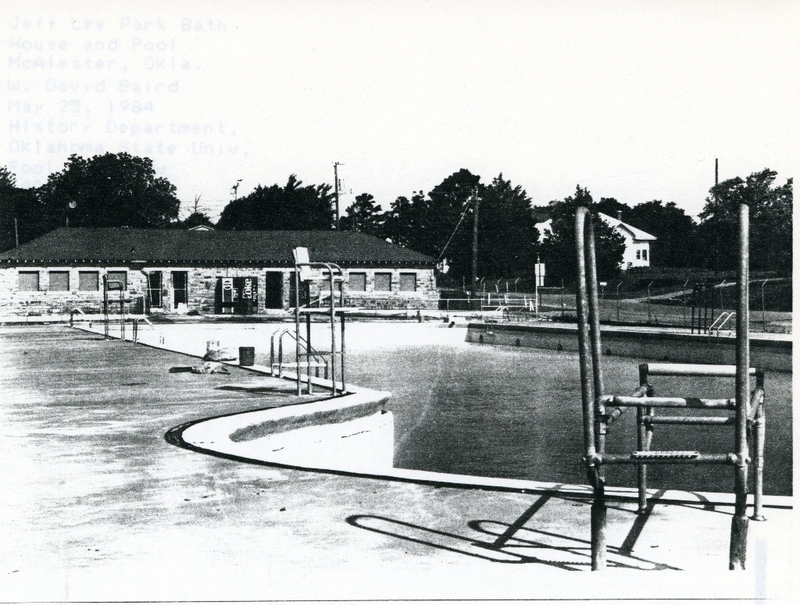 For the agency, swimming pools and bath houses were “useful.” Because there were not all that many pools constructed by the WPA, Jeff Lee Park is distinctive. It is also significant because construction of it provided jobs to persons who had been on relief rolls, enabling them to support their families and regain confidence in themselves.